I THINK we all remember with great affection Martin Scorsese’s Hugo featuring a boy involved in a completely automated world. 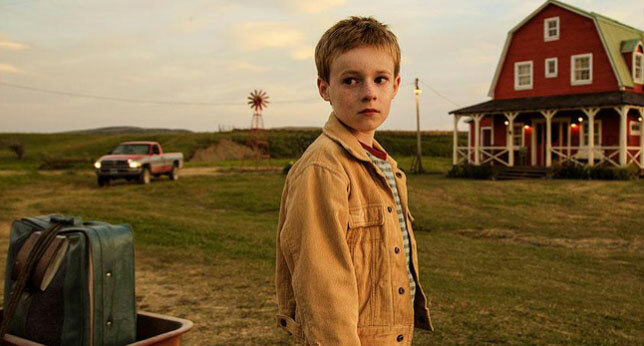 Now there’s Jean-Pierre Jeunet ’s adaptation of a book by Reif Larsen where a 10-year-old genius from rural Montana scoots across country to Washington to accept a Smithsonian Institute award. But first a bit of background. Spivet (Kyle Catlett) lives on a ranch in Montana with his cowboy father (Callum Keith Rennie) and scientist mother (Helena Bonham Carter) who’s absorbed in her entomology research. The boy’s twin brother Layton was shot in a mysterious accident in the family’s barn. TS – short for Tecumseh Sparrow – was there when Layton died, timing the gunshots for an experiment, but he has virtually no recall of the accident. Sister Gracie (Niamh Wilson) dreams of becoming Miss America, first of all desperately waiting for her region to be connected to the national mobile phone network. Out of the blue one day TS receives a phone call from the Smithsonian. His invention of a perpetual motion machine is to be formally recognized although it appears the organizers don’t know how young the inventor really is. Off goes the young genius. Chicago is his first stop so travel by campervan, train and even on foot is called for. The train ride itself is an eye-opener. The camera moves from wide rural landscapes to the industrial heartland depicting one of the US’s major cities. Interestingly, however, the film was shot in Canada. Its great sweeping landscapes masquerade perfectly as US territory. Once in Chicago T.S. hitches a ride and makes it to the Smithsonian. There he comes under the wing of the Institute’s rather profane under-secretary Ms. Jibsen (Australia’s Judy Davis). She plays on his young age as an inventor to garner extra publicity for the release of his perpetual motion machine. And if you think the name of director Jeunet is familiar, it should be. He helmed the French smash hit Amelie back in 2001. This entry was posted in Uncategorized and tagged Amelie, Helena Bonham Carter, Judy Davis, Kyle Catlett, Richard Jones, The Young And Prodigious T.S. Spivet. Bookmark the permalink.